Doctor Mom: Is this the beginning of blogging? Oh, and Happy 2009!! Is this the beginning of blogging? 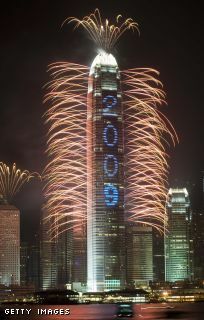 Oh, and Happy 2009!! I think that I should give blogging a try...see if I'm into it...I'd love to share what me and my girls (oh and Randy too) are up to! I'll start by reflecting on how lucky I am right now...I have the best husband around (except that he really likes to play xbox too much!) and he is the best father in the world to our two girls. Maybe too good as now they are both obsessed with him in an abnormal way, but he created these monsters! I also am so lucky to have 2 beautiful little girls, special in their own ways. Reagan is almost 2 and 1/2 and is just fun to be around. Everyday I see her mind growing and I could not be more proud that I had a part in creating and molding her. She is so sweet and good natured and she makes me wonder how I am so blessed to have her in my life. Whitney is almost one and is growing (rounder) everyday. She is in a tough stage right now where she is difficult to contain but it is fun to see how she is constantly changing. As her birthday approaches, I can't help but to reflect on how far she has come in one year. She is the most easy going and happy baby around...thats my Mitters!